The company just announced its flagship smartphone Moto Z3 Play so it is not clear if Motorola is planning to release a new smartphone or not. There is no official statement about what is going to unveil on the event day. Some rumors suggest that Moto will launch the Moto Z3 along with the recently leaked Motorola Mot One Power smartphone. 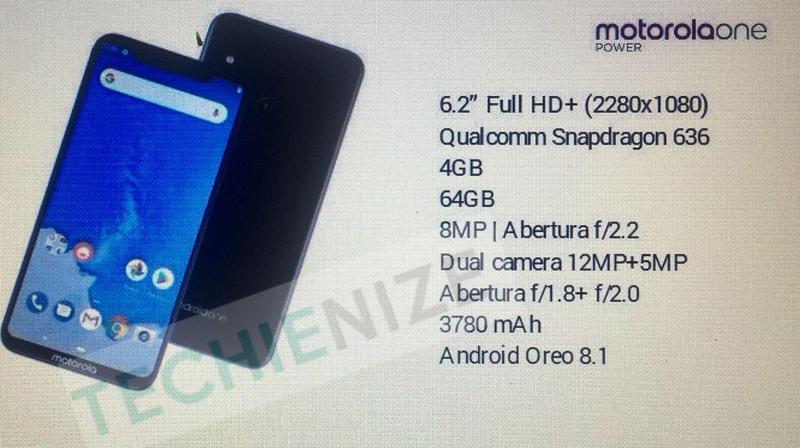 As leaked before, the Motorola One Power will be coming with a Qualcomm Snapdragon 636 processor paired with 4GB of RAM and 64GB internal storage. The smartphone might feature a 6.2 inches display with full HD+ resolution and 19:9 aspect ratio. The battery would b a 3780 mAh and be running the Android 8.1 Oreo OS. The Motorola One Power might also feature a dual camera setup including a 12MP sensor and a 5MP sensor at the back. One the front will be an 8MP sensor with USB Type C port and Turbo Charging tech. Coming to the Moto Z3, the smartphone will come with MotoMods support which is the main feature of the device. The device will also feature the same design as before which we have seen previously in a promotional video. The smartphone will feature the latest Qualcomm Snapdragon 845 processor paired with 4GB or 6GB of RAM.